Titan's hazy orange globe hangs before the Cassini spacecraft. Image credit NASA/JPL/Space Science Institute. PASADENA, Calif. -- NASA has awarded five-year grants, averaging $7 million each, to 10 research teams from across the country, including two from NASA's Jet Propulsion Laboratory in Pasadena, to study the origins, evolution, distribution and future of life in the universe. The interdisciplinary teams will become new members of the NASA Astrobiology Institute, located at NASA's Ames Research Center at Moffett Field, Calif. Teams from the University of Hawaii in Honolulu; Arizona State University in Tempe; the Carnegie Institution of Washington; Pennsylvania State University in University Park, Pa.; the Georgia Institute of Technology in Atlanta; and Rensselaer Polytechnic Institute in Troy, N.Y., have been selected as members. Teams from Ames and NASA's Goddard Space Flight Center in Greenbelt, Md., also have been selected. "The research of these new teams reflects the increasing maturity of astrobiology," said NASA Astrobiology Institute Director Carl Pilcher of Ames. "They are focused on fundamental questions of life in the universe, but their work has implications for all of science. The research of these teams, together with that of the four continuing institute teams, will bridge the basic science of astrobiology to NASA's current and planned space exploration missions." The first of two JPL teams will be devoted to an interdisciplinary investigation of chemistry on Saturn's moon Titan. The team will focus on Titan's physical environment to provide a basis for understanding the chemistry of early Earth, which was the precursor for life. 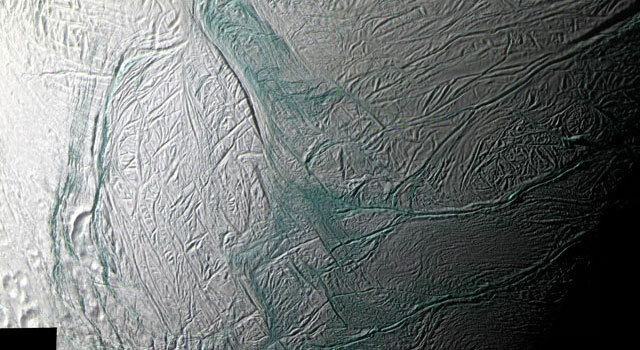 The second JPL team will investigate the habitability of icy worlds, such as Saturn's moons Titan and Enceladus, and Jupiter's moon Europa. They also will investigate how life could be detected in such environments and begin to define related instrumentation for future missions. The University of Hawaii will investigate the origin, history, and distribution of water and its relation to life in the universe. Arizona State University will develop new, more refined criteria to guide the search for life by characterizing life's elemental requirements. This will be developed by a "follow the elements" strategy for investigating habitability in extraterrestrial environments. Carnegie Institution of Washington will conduct a wide range of research. They will focus on life's chemical and physical evolution, from the interstellar medium, through planetary systems, to the emergence and detection of life. Rensselaer Polytechnic Institute will conduct a multifaceted, highly integrated, program of interdisciplinary research on setting the stage for life. This will focus on the origins of relevant molecules and habitable environments, and on the processes by which chemical evolution leads to life. Pennsylvania State University will develop novel approaches to detecting and characterizing life. Investigations will include indicators or signatures of life in mission-relevant ecosystems and ancient rocks, and evaluating the potential for these signatures in extraterrestrial settings. The Georgia Institute of Technology will pursue the scientific goal of rewinding the tape of life to before the last universal common ancestor of all living organisms. This could shed light on the nature of protein synthesis by the earliest living systems. Ames will conduct a program of integrative, mission-enabling research to investigate the creation and distribution of early habitable environments in emerging planetary systems. Goddard will evaluate the possible role of organic material from space in the origin of life on Earth, and advance understanding of organics on other worlds. "The new teams provide a superb foundation for the institute as it enters its second decade," said Jim Green, Planetary Science Division director at NASA Headquarters in Washington. "They bring together the many disciplines necessary for a comprehensive interdisciplinary approach to studying life in the universe." The new members join four continuing teams led by Montana State University in Bozeman, the Massachusetts Institute of Technology in Cambridge, the University of Washington in Seattle, and the University of Wisconsin in Madison. For more information about the NASA Astrobiology Institute, its new teams, and NASA's astrobiology program, visit http://astrobiology.nasa.gov .